It is said that even the pagans believed they had a Guardian Angel! The belief that we all have a heavenly helper exists in some form is most religions and philosophies. 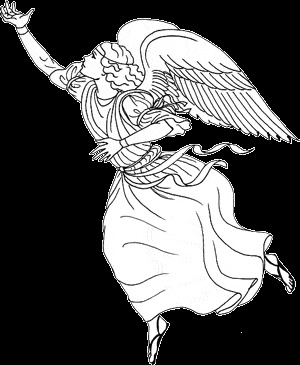 Angels are extensively mentioned in both the Old and New Testament. Our personal Guardian Angel is our gift from God to watch over and guide us; we are never alone – maybe they are our sixth sense! Many Saints reported visions from Angels, sometimes in the presence of others such as the Blessed Virgin Mary. Our hopes and prayers are that one day, our Guardian Angel will accompany and comfort us on our final journey from this world to eternal happiness in Heaven. The Feast of Guardian Angels is the 2nd of October. O Angel of God, my guardian dear, to whom God’s love commits you here. Ever this day/night be at my side, to light and guard, to rule and guide. Amen.